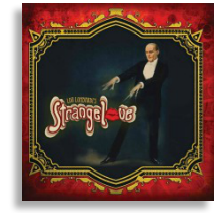 Get Your Digital Copy of Lou Lombardi’s Strangelove Album for only $9.97! GRAB the Album…It’s GREAT MUSIC to listen to! Click Here To Download “Lou Lombardi’s Strangelove” Now! Lou Lombardi’s Strangelove plays in your face, high energy, take no prisoners, guitar driven rock and roll like they used to make. Remember when MTV played videos and rock stars weren’t manufactured on game shows? Yeah… the good old days baby. They have been described as “Led Zeppelin, Deep Purple and Rush in a triple tag team death match with Gov’t Mule, Soundgarden, and Stone Temple Pilots. So click the order button below and get instant access to Lou Lombardi’s Strangelove’s latest album, “LLStrangelove”, and discover why Pittsburgh is talking about it! You will receive a DIGITAL DOWNLOAD of Lou Lombardi’s Strangelove via email immediately after placing your order.